The appetizers are by far the best part of every Thanksgiving dinner! Healthy appetizers, easy appetizers, make-ahead appetizers, we’ve got them all for you! You never get a second chance to make a first impression, right! Well, that applies to your appetizers too! Your guests show up, and trust me, they are judging your host/hostess skills as soon as they walk through that door! Granted, they should be grateful that they even received an invitation, right? But, once they get past the initial thrill of the invite, the judging begins! So the appetizers are super important! They have to be spot on! I have found some Thanksgiving appetizers that are sure not to disappoint!! 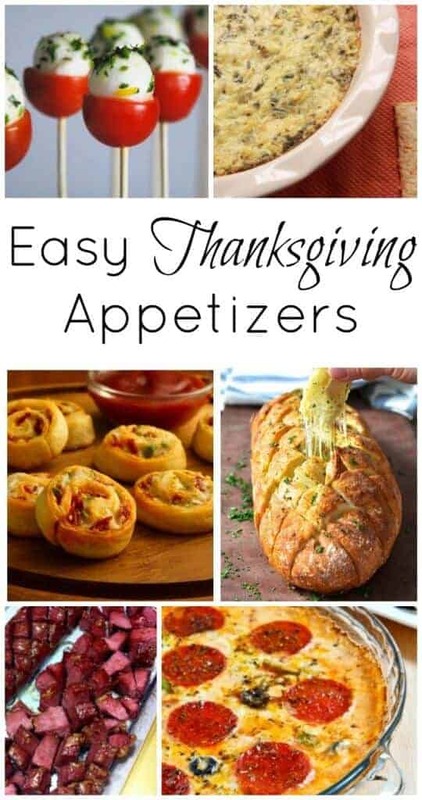 This year, we are going to focus on EASY Thanksgiving appetizers! Let’s be honest, when you are hosting a big dinner, easy is key! 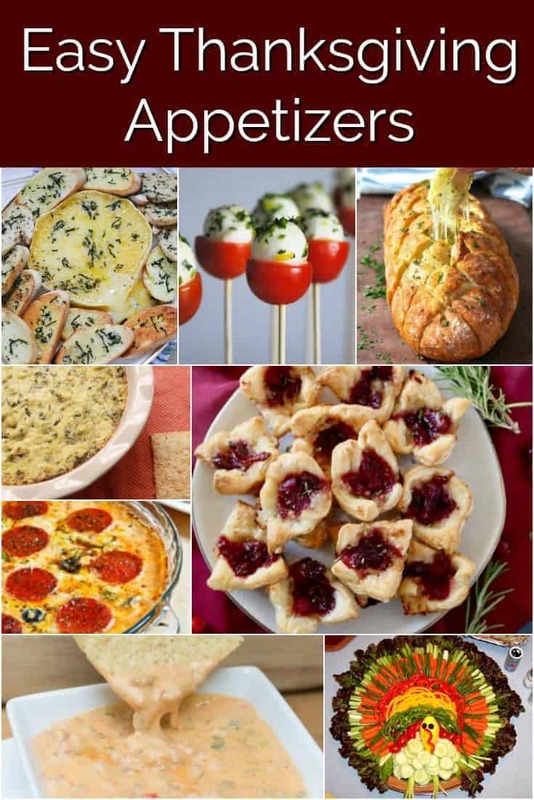 Looking for some Make-Ahead Appetizers, we have more than 25 for you here! 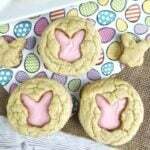 Cute, healthy and delicious! 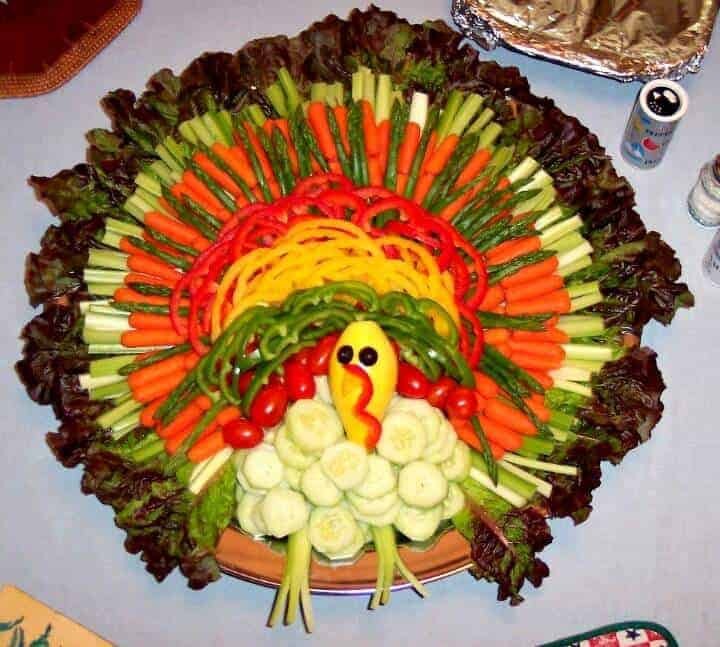 This Veggie Turkey Tray. It may take a bit to assemble, but it isn’t a difficult recipe!! This is also terrific because it can be made ahead of time. You can assemble the whole vegetable tray and have it ready to go and just pull it out when your guests arrive! Such a healthy appetizer option, but checks off the box for the cute factor! We love an appetizer on a stick! These Caprese Pops are so easy to eat and even easier to make! 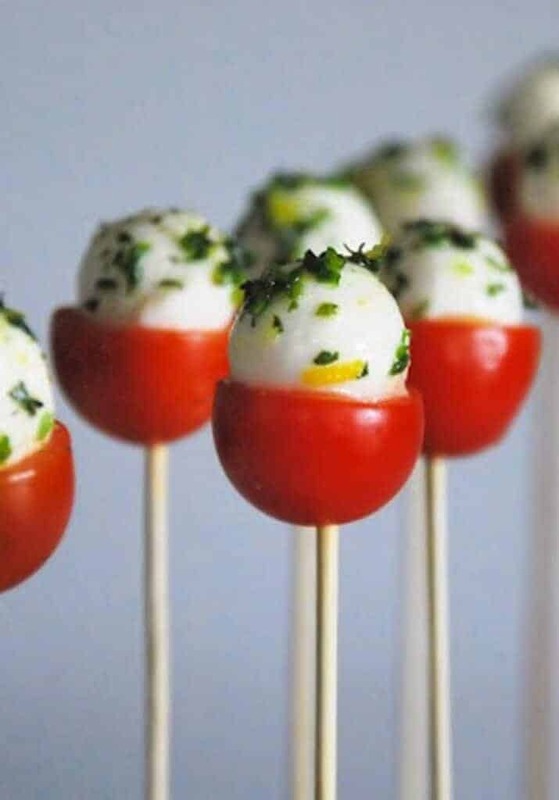 All you need is cherry tomatoes, mozzarella, lemon zest, a little bit of olive oil, parsley and, of course, toothpicks! Compile your pop and then stick it with the wooden pick. 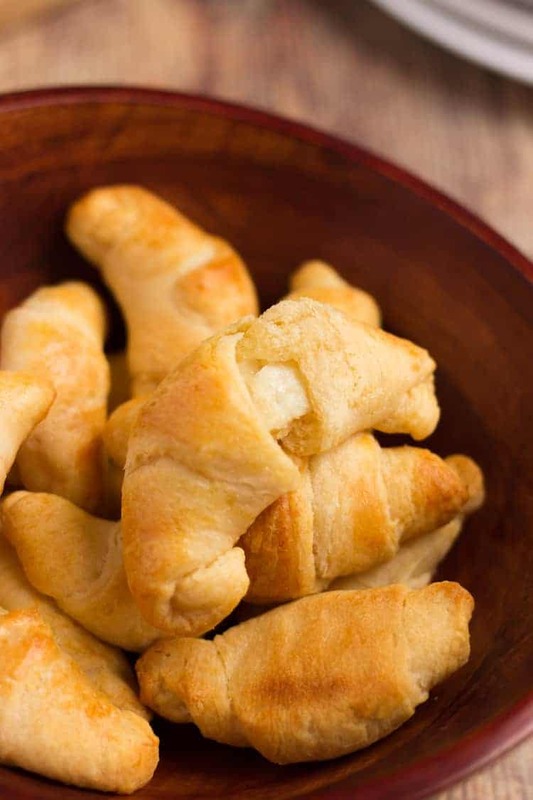 Again, these are an easy make-ahead appetizer that everyone will adore! A healthier twist on a fattening favorite!! If you love artichoke dip, you will love this lower-fat version. Some minor tweaks in the ingredients and you can have all of the flavors, but less fat, sodium, and calories. 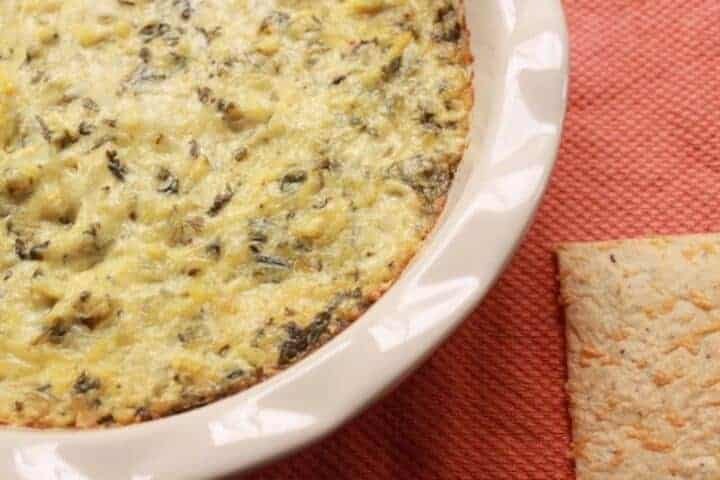 Serve this artichoke dip hot out of the oven with some crackers or toasted bread. Brie Bites are one of my favorite Thanksgiving appetizers. 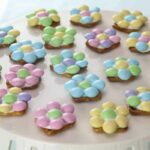 They only need 3 ingredients and take 15 minutes total! This is a great appetizer to make with kids. They can help you roll them up while you are working on something else! All you need is some refrigerated crescent dough, brie, and an egg! Serve them hot with some cranberry sauce or apricot preserves – the perfect holiday appetizer! 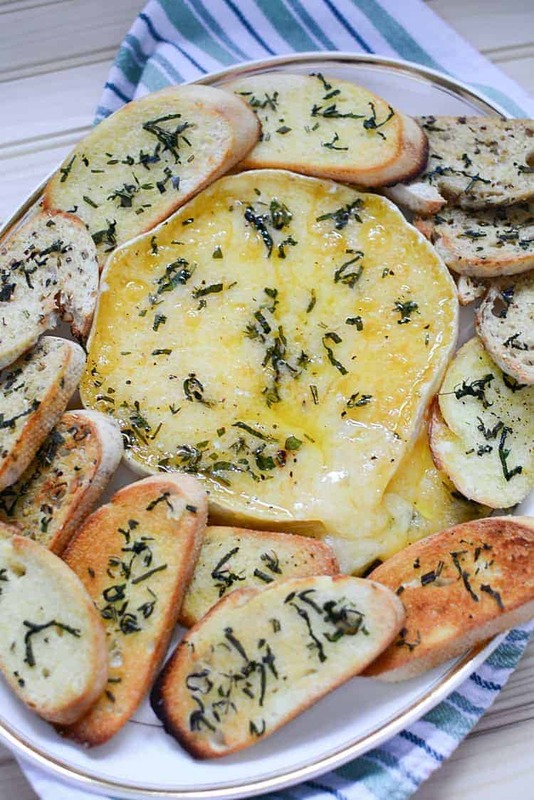 Speaking of Brie cheese…this baked brie appetizer is my go-to dish to bring to parties! People go crazy for it! Again, this is easy to make, but it takes brie to the next level. We are not just wrapping the brie in a pastry roll and baking it, we are really getting to the essence of the deliciousness of brie! They key to this appetizer is the fresh herbs and quality olive oil! They make all of the difference. This can be a prepare before but bake right when guests are walking in Thanksgiving appetizer. You can have everything ready, but throw it in the oven about 20 minutes before you are ready to serve it. The cheese will be hot and gooey and delicious! 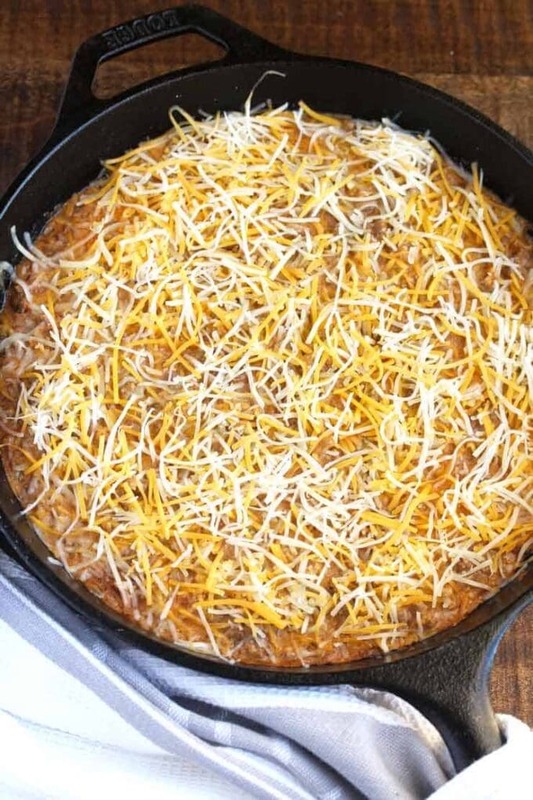 This Crockpot Nacho Cheese Dip is always a huge hit. The other great thing is that it cooks in the slow cooker, so you don’t need any oven space! It is also a great appetizer for a crowd! You can easily double up on the recipe. 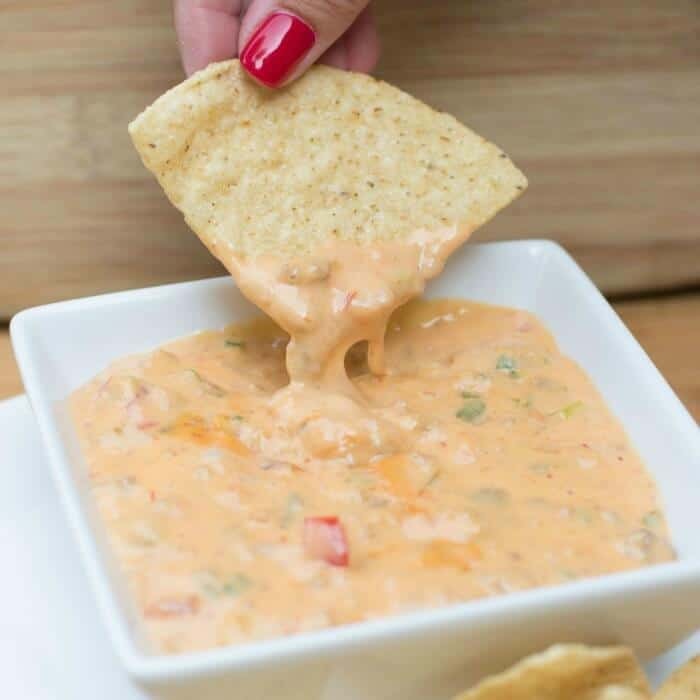 Serve this dip with tortilla chips, bread or veggies! 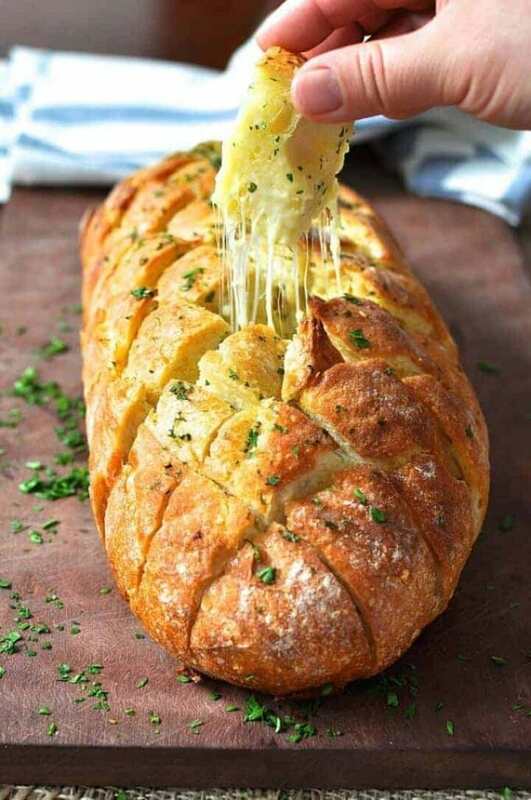 Cheese pull apart bread is such a great appetizer or even makes a great side dish! There is really no going wrong with this easy appetizer. You just buy an already baked bread (or you can make your own). Crisscross slice it. Butter it up and add some garlic or garlic salt and then load on the cheese! This is another quick and easy Thanksgiving appetizer because you just need to throw it in the oven for about 15 minutes! You can get creative with the toppings too! Crescent rolls make a great start to any appetizer and these Bacon Cheddar Pinwheels are no exception. You only need five ingredients to make this yummy app! This one takes a little more time to cook – about 35 minutes. But your guests are sure to love them! Anything with pizza in the name is good by me! This Pizza Dip takes two of my favorite things and combines them into one! Pizza and Dip!!!! This layered dip is easy to make and when served piping hot, it will be an ooey gooey dream appetizer. 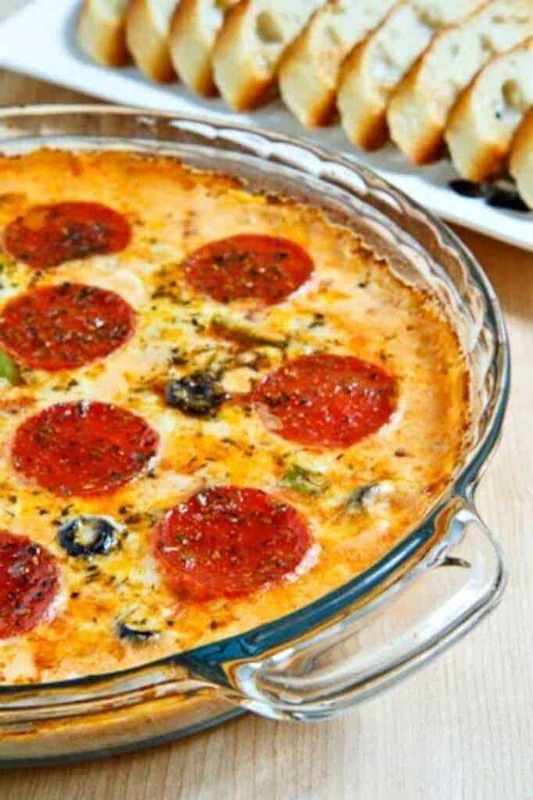 Pizza dip will take about 10 minutes to make and 20 minutes to bake. Serve with some toasted baguettes! 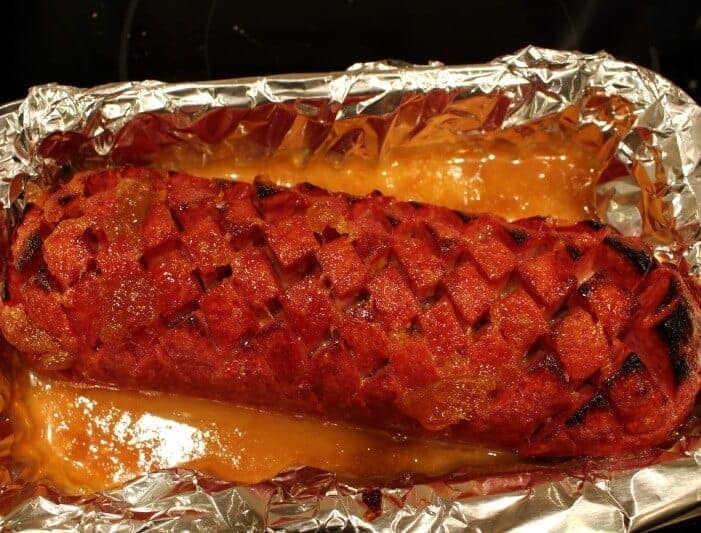 Our Baked Salami Appetizer is always on our Thanksgiving Appetizer list. My son would kill me if we didn’t have it! I literally have to cut him off. It is another one that you do most of the work the night before…and by work, I mean throw the ingredients into a ziplock bag and let marinate in the refrigerator overnight! Right before you guests come, you throw it in the oven for about 30 minutes and you are ready to go! This will fly off of the appetizer table – it is totally delicious! 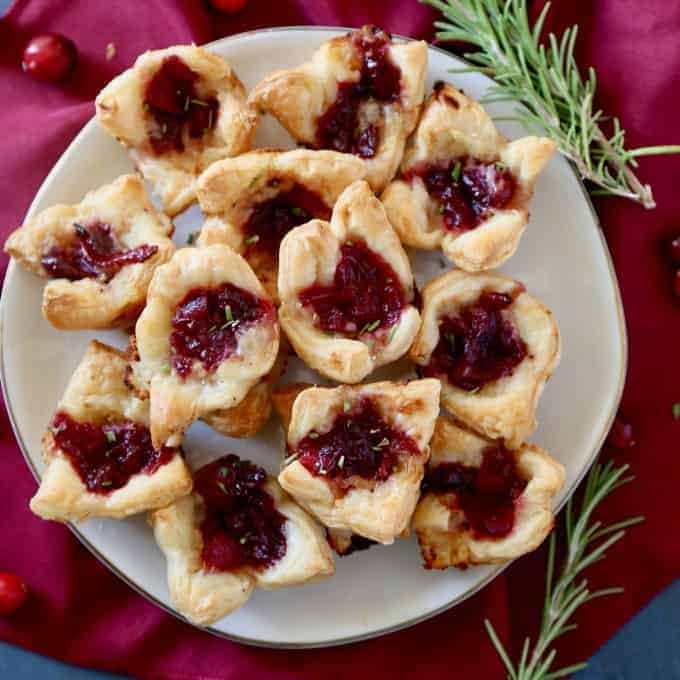 Let’s be honest, what would Thanksgiving be without these Cranberry Brie Bites? I know we are brie heaving on this round-up, but I just love all things brie! If you are looking for a traditional Thanksgiving Appetizer to bring to your Thanksgiving dinner, this is it! The cranberry, brie and puffed pastry together in a bite-size appetizer, is just the perfect combination. You cannot go wrong with this easy appetizer! Muy bonita presentacion sobre los vegetales! Where is the turkey appetizer tray receipe? No recipe…. just a picture!! Sorry!!! Karen Havling is the creator of that vegetarian turkey tray, I am sure she’ll hook you up with ingredient list and instructions. Just look her up on Facebook.